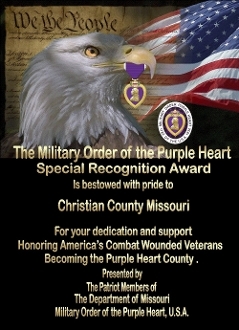 Our Purple Heart City Plaque Designed to be presented to Cities, Counties or States becoming Purple Heart . 9 x 12 Cherry $39.95. 11x16 Black edge $64.95.